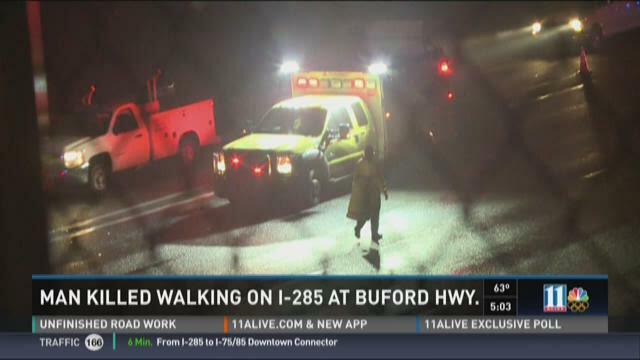 DORAVILLE, Ga. -- Police and troopers are investigating after a man was struck while apparently in the middle of Interstate-285 on Sunday night. Doraville police received a call regarding a person hit on the major road around 9 p.m. and when they arrived on the scene, they found a victim dead. 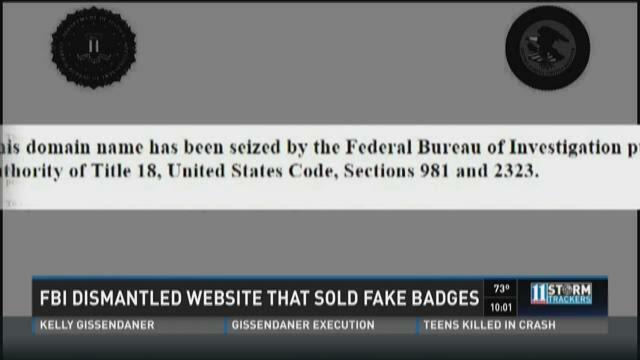 ATLANTA -- The FBI has dismantled and shut down a foreign-based company that was selling fake federal badges, the first time such an action has been taken. 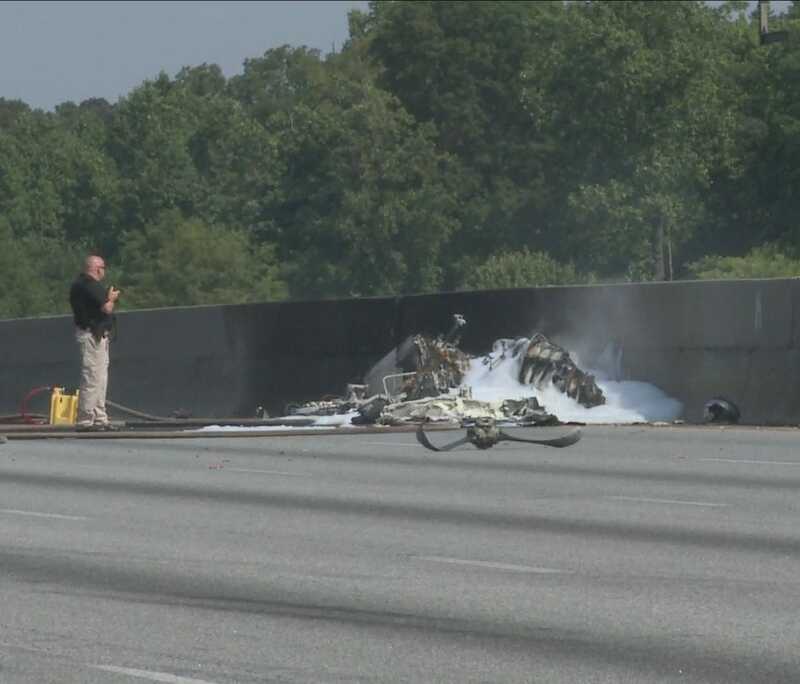 ATLANTA – Newly-released audio recordings reveal the final moments before a plane crashed onto Interstate 285, killing four people. On May 8, a light plane piloted by Greg Byrd slammed into the median wall of I-285 minutes after taking off from DeKalb Peachtree Airport. Byrd, his sons Phillip and Christopher, and Christopher’s fiancée Jackie Kulzer were all killed in the crash. DORAVILLE, Ga. -- Doraville Police arrested a man who may be behind dozens of burglaries across metro Atlanta. The suspect, 35-year-old Choice Phillips, was taken into custody Wednesday after a high speed chase. Officers responded to a burglary alarm at Pinetree Plaza in the 5100 block of Buford Highway. When they arrived, they spotted a car speeding away from the shopping center. Doraville Police officers initiated a chase, following the vehicle as it traveled north in the southbound lanes of Buford Highway. The driver led police to the I-285 and I-85 south ramp, where he crashed the car. He was treated at an area hospital, then taken into custody. Investigators identified the driver as Phillips and found more than $2,000 worth of beauty and hair supplies in his wrecked car, according to Doraville Police Officer Gene Callaway. DORAVILLE, Ga. -- A naked man was found with multiple stab wounds in front of a home in Doraville Thursday morning. The incident happened at 6463 Sage Street. A passerby called 911 to report that a naked man covered in blood was standing in front of the home. When officers arrived, they found a man in his 30s with multiple stab wounds in the driveway. The man told police that his roommate had stabbed him inside the house. The victim was transported to the hospital with severe injuries. He was listed in critical condition Thursday afternoon. His name has not been released. The other man, 36-year-old Joseph Dillinger, suffered minor injuries and was treated and released at the hospital. He's been charged with aggravated assault and transported to Gwinnett County Jail. GWINNETT COUNTY, Ga. -- Two people are recovering after being shot in Gwinnett County over the weekend. Both victims were part of a group of about 30 people who gathered Sunday evening for a volleyball game at a house in the 4700 block of Winters Chapel Road. The victims and a third man were watching the backyard game from the home's driveway. At one point, someone fired several shots in their direction. One victim, 53-year-old Juan Aguirre, was shot in the chest and leg. The second, 47-year-old Arnoldo Ortuno, was shot in the leg and ran away. He was later found on Spring Drive, about two blocks from the scene. Both men were taken to Gwinnett Medical Center with non-life-threatening injuries. The third man was not hurt and was later interviewed by police. Investigators said all witnesses and suspects ran from the home after the shooting. No one has been arrested. DEKALB COUNTY, Ga. -- The National Transportation Safety Board has published its preliminary report about the May 8 plane crash that killed four people. DORAVILLE, Ga. -- 911 calls made by witnesses to the deadly plane crash on Interstate 285 capture the shock and emotion in moments after. The Doraville Police Department released audio recordings Sunday. In them you hear two women who called 911 in the minutes after that tragic plane crash. ASHEVILLE, N.C. -- A memorial service for the father and two sons killed in a plane crash on Interstate 285 will be held Monday in Asheville, N.C.
Greg Byrd and two of his sons -- Phillip and Christopher - along with Christopher's fiancée Jackie Kulzer -- were all headed to Oxford, Miss. to attend the graduation of the youngest son Robert - from Ole Miss when their plane crashed Friday morning.